Frontline Automation was founded in 1995 and has gone from strength to strength ever since, earning a reputation based on excellence for our Automated Gates, Vehicle Barriers, Bollards, Access Control and CCTV. We supply and install automated gates and perimiter security solutions to both the residential and commercial markets, offering the perfect solution to all. Within the residential market, we have made a name for our bespoke designed & manufactured metal gates. 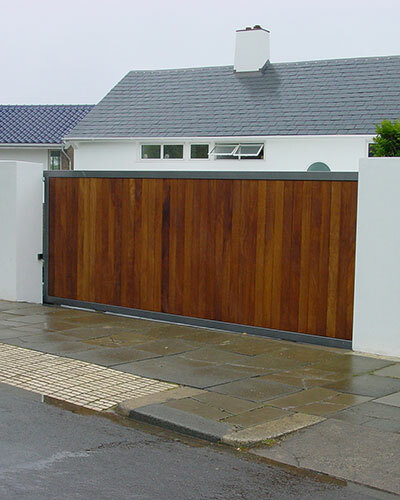 Each gate is designed and manufactured in-house to suit the aesthetics of the property and surrounding area, before being automated to provide the customer with the exact level of security and ease of access that they require. We also provide wooden gates and have long-standing relationships with a variety of local carpenters/joiners - Together we will work with you until we can reach an end product you'll be pleased with. We offer a variety of automation options and our skilled sales staff can fully explain all available options. Our larger clients are within the commercial market, and we have installed and maintained security systems for a number of high-profile clients such as the BBC, BT, Southern Water, South East Water, Network Rail, Metropolitan Police, Bunn Leisure and various Central London shopping centres. In particular, our heavy duty Cantilever Gates have earnt us a number of new clients for their ease of installation and high level of security. Because all of our gates are essentially a bespoke designed product, we have the benefit of being able to look at a clients complete security requirement and offer them the complete solution all in one place. Not only can we offer revolutionary automated gate, bollard and barrier systems, we couple all of this with a huge variety of access control, gate safety and CCTV options.